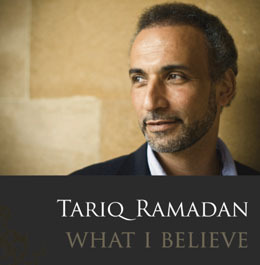 Dubbed “a Muslim Martin Luther” by the Washington Post’s Paul Donnelly, Tariq Ramadan is one of the most prominent—and controversial—voices of Islamic reform. In fact, his passionate criticism of American foreign policy has earned him enemies: in 2004, the Bush administration denied him entry to the United States under provisions of the Patriot Act, a ban that was lifted in January 2010. Yet his outspoken criticism of Sharia law and dictatorships has made Ramadan enemies, as well. As of 2009 Ramadan was persona non-grata in Tunisia, Egypt, Saudi Arabia, Libya, and Syria because of his criticism of “these undemocratic regimes that deny the most basic human rights.” A devout Muslim whose grandfather was a founder of the Muslim Brotherhood, Ramadan seeks to negotiate the treacherous territory between the West and Islam. He urges Muslims in the United States to embrace its non-Muslim society as their own, while bringing their Islamic values into the civic sphere to change society for the better. In What I Believe, Ramadan attempts to set the record straight, laying out the basic ideas he stands for in clear and accessible prose. He describes the book as a work of clarification, directed at ordinary citizens, politicians, journalists, and others who are curious or sceptical about his positions. Aware that that he is dealing with emotional issues, Ramadan tries to get past the barriers of prejudice and misunderstanding to speak directly, from the heart, to his Muslim and non-Muslim readers alike. In particular, he calls on Western Muslims to escape the mental, social, cultural, and religious ghettos they have created for themselves and become full partners in the democratic societies in which they live. At the same time, he calls for the rest of us to recognize our Muslim neighbours as citizens with rights and responsibilities the same as ours. His vision is of a future in which a shared and confident pluralism becomes a reality at last. Tariq Ramadan is Professor of Islamic Studies on the Faculty of Theology at Oxford University, Senior Research Fellow at St. Antony’s College (Oxford), Doshisha University (Kyoto, Japan), and the President of the European Muslim Network (EMN) think-tank in Brussels. He is the author of Radical Reform: Islamic Ethics and Liberation, In the Footsteps of the Prophet: Lessons From the Life of Muhammad, Western Muslims and the Future of Islam, and Islam, the West, and Challenges of Modernity. The Malay translation of his book “What I Believe” will be launched on Saturday, 16th December at Spices, Concorde Hotel KL by Dato’ Saifuddin Abdullah.